Bordeaux, 28 September 2015 - Vinexpo Hong Kong, Asia’s no. 1 wines and spirits event, will take place from 24 to 26 May 2016 at the Hong Kong Convention and Exhibition Centre. The show’s promotional campaign kicks off with a contemporary visual and a compelling slogan: “creative business”. The new poster features coloured folded paper geometric forms inspired by the art of origami, under an elegant wine glass placed like a bell jar over these multifaceted shapes representing the entire wine world. Origami, the art of paper folding, was chosen for Vinexpo Hong Kong’s new visual because it evokes this ancient Asian art. 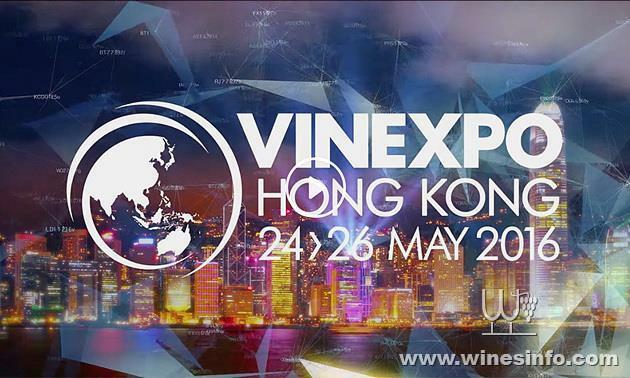 Here it is given a contemporary twist to symbolise the creativity and energy and the buzz of Vinexpo Hong Kong. The art of paper folding is emblematic of the wine and spirits producers’ know-how. This synergy between modernity and tradition, creativity and business that is the hallmark of the show finds its echo in the poster and in the new catchline which encapsulates all the possibilities for being creative and seizing the business opportunities that Vinexpo Hong Kong offers its exhibitors and visitors. Each element of the graphic composition is significant. The red ascending spiral symbolises both wine swirling in the glass and the road to success, a metaphor that is echoed in the white staircase. The vertical shapes are inspired by Hong Kong’s emblematic buildings with the overall arrangement evoking the Hong Kong skyline. Then there is the glass placed protectively like a bell jar over a work of art or a precious object. As well as symbolising the world of wine, this glass gives the poster an exclusive, upscale cachet. This modern, striking and sophisticated visual alludes to the artisanal side of the wine world while drawing on colour codes that speak to Asian cultures. For the Chinese, the dominant colour of the poster, purple, is highly symbolic and represents wisdom, power and business. Red, which means happiness and luck also has a strong presence, while yellow is the symbol of luck. The new poster was designed by Nicolas Fedon, Vinexpo’s graphic designer, who worked with photographer Jacques Péré and the artist Alban Caumont. A successful collaboration, with the video produced by Nicolas Seurot. business,” comments Guillaume Deglise, CEO of Vinexpo. Vinexpo organises international wine and spirits shows in Europe and Asia. Vinexpo Bordeaux is a major event and the mustattend show in the industry calendar. And every two years Vinexpo Hong Kong brings together producers from the entire world keen to break into the growing markets in Asia Pacific. There is also Vinexpo Tokyo, a niche show specifically aimed at the Japanese market. Dates for your diary: Vinexpo Hong Kong from 24 to 26 May 2016, and Vinexpo Tokyo on 15 and 16 November 2016.